and Paul Weideman of the Santa Fe New Mexican for his lovely article in Pasatiempo. When William Lumpkins Jr. appeared at our door holding a large portfolio last year, we were already quite familiar with his father’s work. In fact, if you’re in Santa Fe, Lumpkins Sr.’s most sizable oeuvre is impossible to miss. He was a prolific architect who specialized in modern adobe building techniques and had a hand in the design of over 2,000 structures around town. Nearly every street you’ve passed today wouldn’t look the same without Bill. The thick stack of artwork in William Jr.’s arms was a different story. Since his death in 2000 Lumpkins has gained notoriety for his bold watercolors, but this new series of works on paper came as a surprise. The paintings, serigraphs and drawings before us were stunningly diverse. They ranged from an early modernist landscape to a series of fractured abstract expressionist compositions. A large group of felt-tip pen drawings featuring colorful geometric designs gave us new insight into Lumpkins’ experimental artistic process. William Jr. explained that his father had asked for the works to be released only after his death. The file is a time capsule that spans most of Lumpkins’ artistic career, from 1937 to the 1970s. Lumpkins was born near Clayton, New Mexico in 1909 and studied art and architecture at the University of New Mexico. He settled in Santa Fe for the first time in 1935 and helped found the Transcendental Painting Group, an influential modernist art collective. 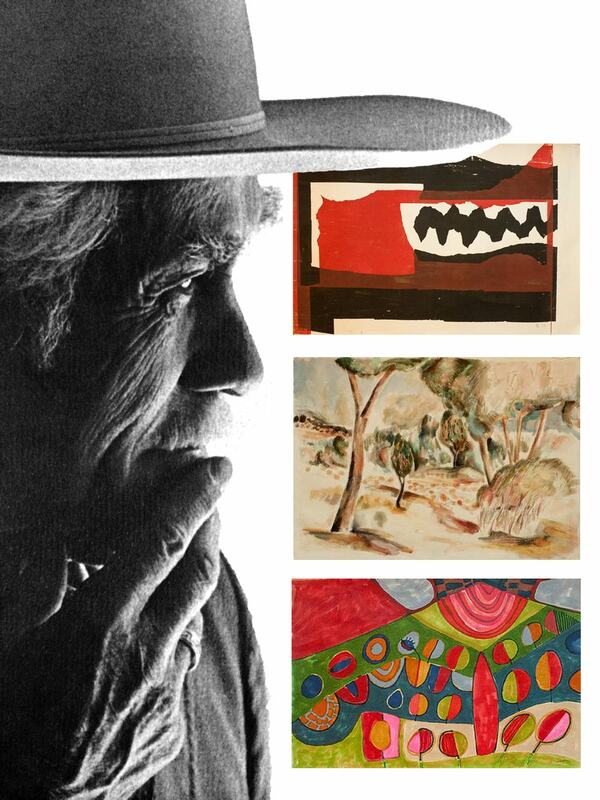 After a stint in California he returned to the Southwest in the late 1960s, establishing a new style of architecture in Santa Fe called “Spanish-Pueblo” and producing innovative art late into his life. The time has finally come for the debut of Lumpkins’ never-before-seen collection. This Friday from 5-7 pm the artwork will appear in our special exhibition NEW MEXICO MODERNS: The Lumpkins Files. If you’re in Santa Fe this weekend, come experience the exquisite creations of a true Renaissance Man who left an enduring mark on the City Different. Also, take the opportunity to marvel at—and perhaps reside in—one of Lumpkins’ grandest architectural creations. He helped design parts of the Pueblo-inspired Inn & Spa at Loretto, the award-winning hotel that’s next to the famed Loretto Chapel a short walk from the Plaza. We’ve partnered with Loretto to offer special room rates to our collectors. Just use the code CANYON when you make a reservation and you’ll be treated like a VIP! We also highly recommend their restaurant, Luminaria. Click here for more information on the exhibition, and connect with us on Facebook, Twitter and Instagram for daily gallery news!